Translation: 5th Night Free (aka the standard award) is only the best option if you have a very low valuation of both Starpoints and airline miles. 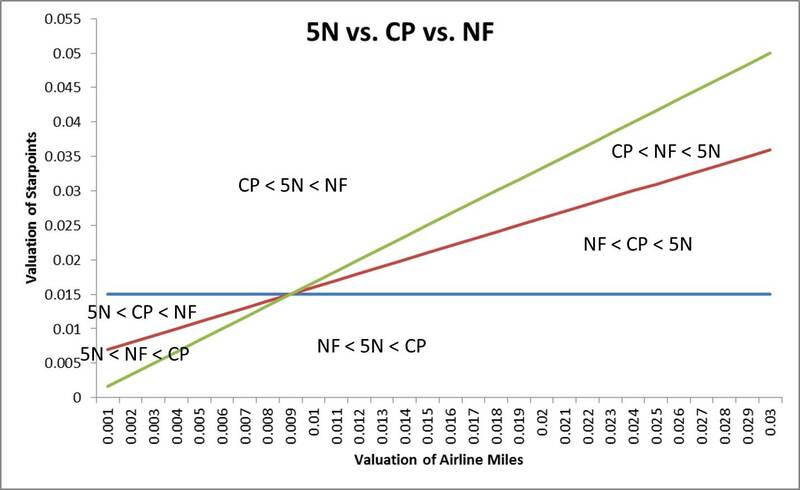 For most people, it's really about the difference between what you consider a single Starpoint to be worth and what you consider a single airline mile to be worth. 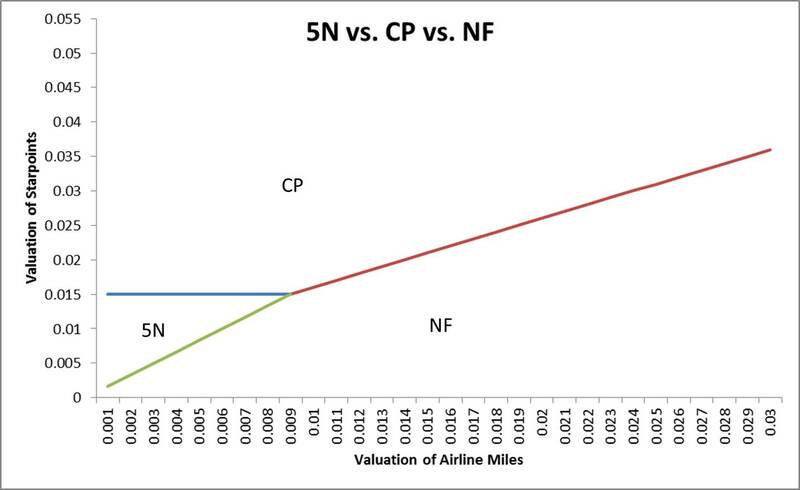 If a Starpoint is worth more than $0.006 more to you than an airline mile, then Cash and Points is your best bet, otherwise it's Nights and Flights. Interestingly enough, if you happen to value Starpoints at exactly $0.015 and airline miles at exactly $0.009, then the three options are exactly the same. 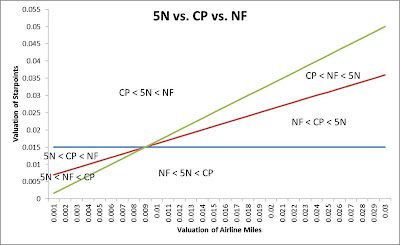 The calculations are the same for category 3 hotels, and while the line move slightly, the overall outcome is very similar. Me personally? I value Starpoints at about $0.025 and most airline miles at about $0.015, so I will always grab Cash and Points when it happens to be available. 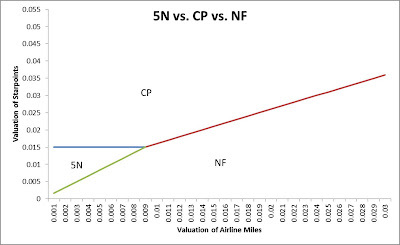 Where do your valuations fall on the plot?